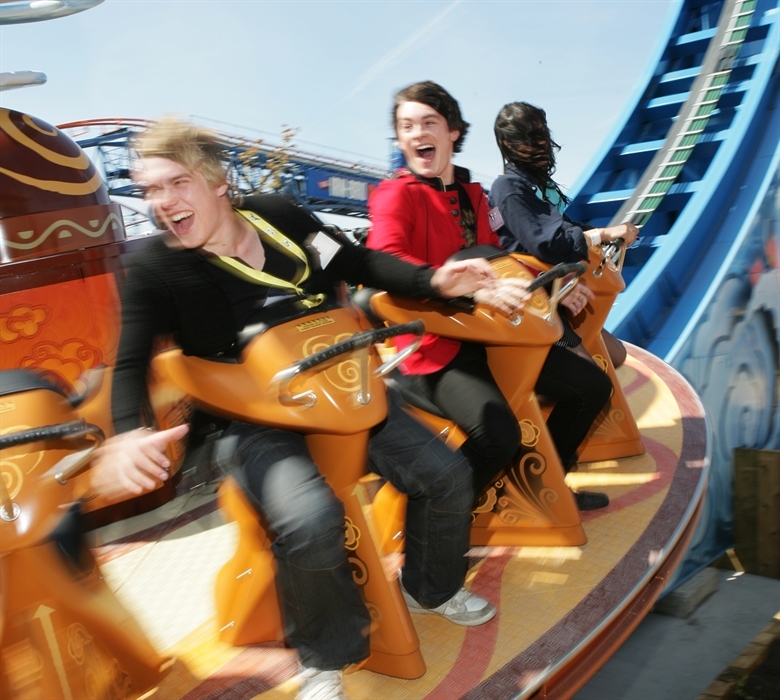 This collaboration between Blackpool Pleasure Beach and Nickelodeon, the number-one entertainment brand for kids, is a six-acre area of the park specially transformed into Nickelodeon Land. With its colourful, park-like atmosphere, Nickelodeon Land is the perfect place to hang out and meet popular Nick characters, whether the kids fancy an adventure with SpongeBob Squarepants, meeting Paw Patrol or battling the baddies with The Ninja Turtles. Jump onboard SpongeBob's Splash Bash, where you have the opportunity to turn water jets on your friends and blast pesky jellyfish with water for a splashing time. The Rugrats Lost River is a rollicking flume ride where you join Tommy, Chuckie, Angelica and the gang on their quest to find the mythical Temple of Spoon. The kids’ imaginations will run wild on the quest for, of all things, a delicious banana split sundae. The fun doesn’t stop there! The Avatar Airbender lets you join Aang on an amazing adventure, spinning and soaring through the air on a giant disk way above the ground below. Don’t be fooled by the tranquility that surrounds you as you queue up. Once you’ve passed by the lush greenery of the gardens and its sculptures, you’ll need to be brave and strap yourself in for the excitement that follows. Visit countries across the world and make new friends with Dora. The kids can learn how to say hello in different languages as you touch down in France, Russia, China and Tanzania – just grab your map on the way in to show you the way to go. Then, once you’ve been on all the rides, you can relax and grab a bite to eat in the Big Pizza Kitchen or find your favourite trendy Nick clothes and souvenirs at the Nick Shop. ©2019 Viacom International Inc. All rights reserved. SpongeBob SquarePants created by Stephen Hillenberg. Opening dates may vary. Please check with website before making arrangements.